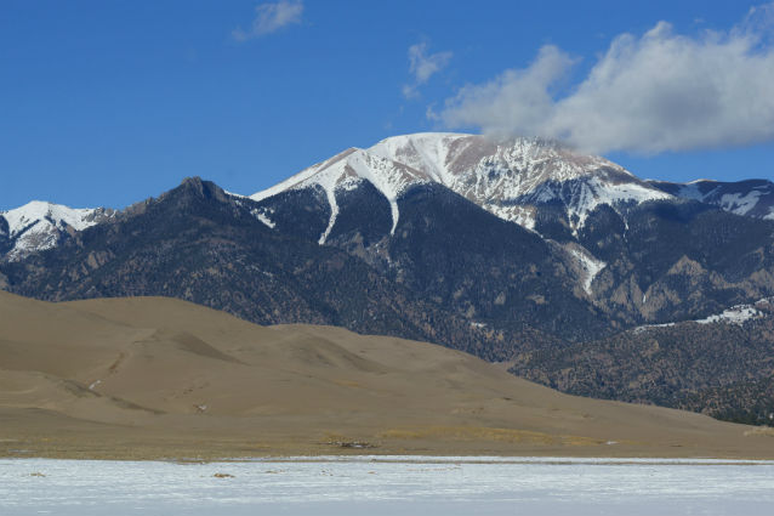 Bundle up and see the fresh snow covering the dunefield with a clear backdrop of the Sangre de Cristo Mountains behind. 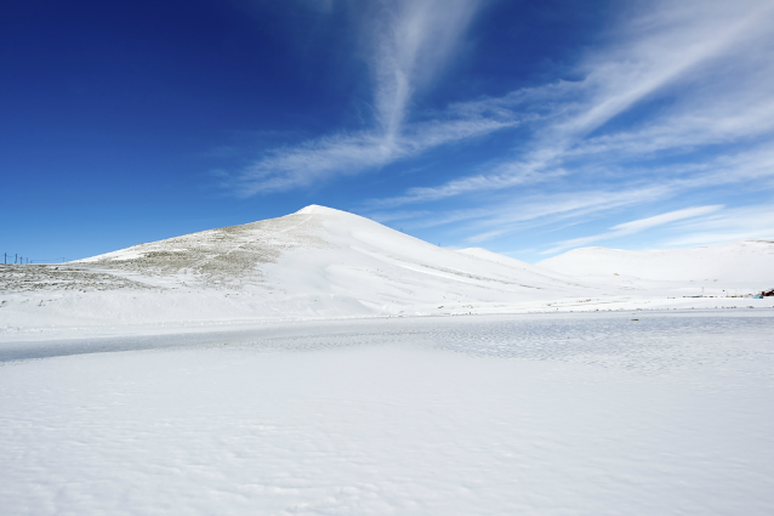 Or explore the dunes and see the 30 square miles of empty white serenity. Winter hiking is not an incredibly popular activity. It is usually taken over by snowshoers and cross country skiers. But some people just want to get outside and experience all that the beautiful snow filled mountains have to offer, without the added gear. 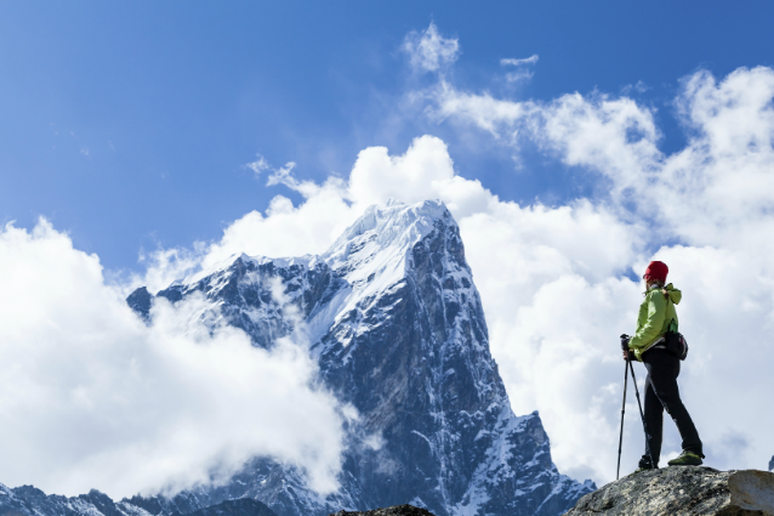 While most mountains become fairly dangerous in the wintertime, and should be visited with caution and care, there are some hikes that experience lighter snows, or flatter lands that allow you to see the winter wonderlands without the dangers of higher altitude hikes. 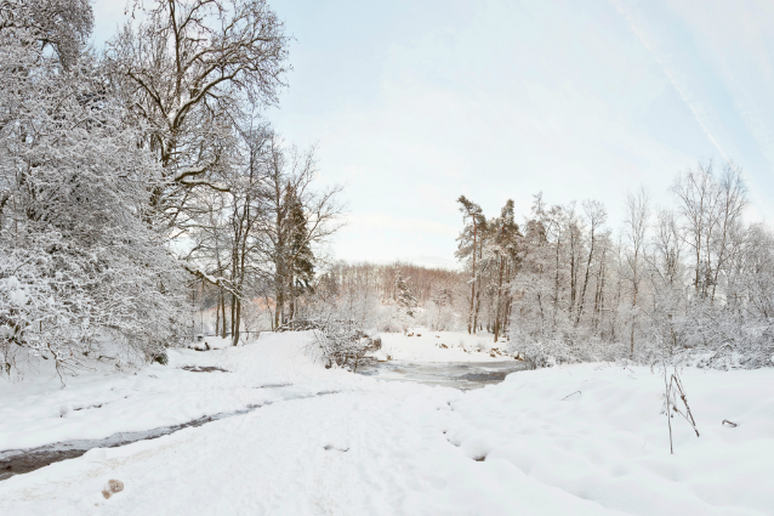 Here we’ve compiled a few parks and trails that offer fun winter activities and great scenic views for those who want to layer up and bare the cold. 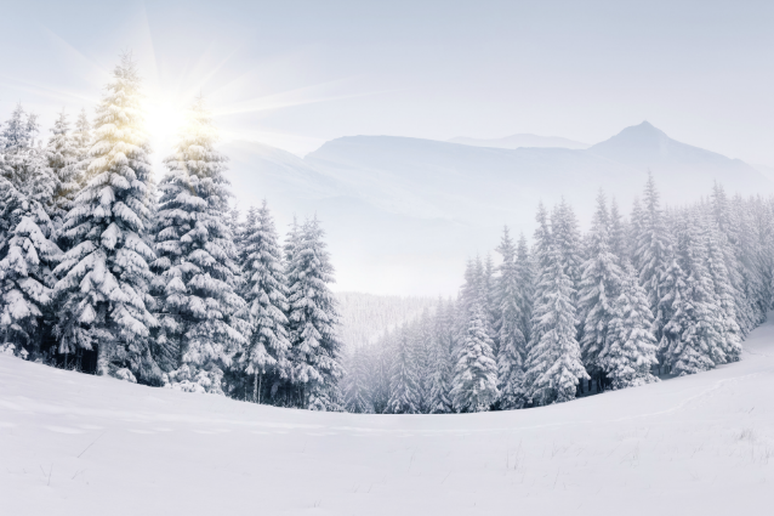 From Colorado to Michigan to Maine, these winter hikes are sure to offer stunning views that will make you forget how cold the crisp winds are and appreciate all that nature has to offer. Approximately six miles north of Ward, Colorado, this short yet stunning trail is filled with glacial remnants. Among the 3.1 miles you’ll see some incredible sights including the Saint Vrain Glaciers, Lake Envy and Lake Gibraltar. There are many trails to try in the Garden of the Gods. Depending on conditions, easy walks include the Perkins Central Garden Trail or the Siamese Twins Trail. 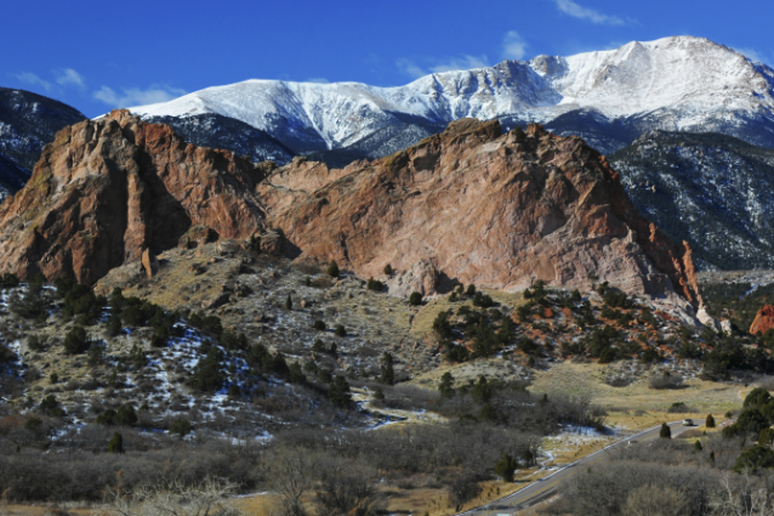 The dramatic views of towering rock formations among a snow-capped Pikes Peak. Experience the beauty of solitude in the northwoods of Pictured Rocks National Lakeshore. The lakeshore averages between 140 and 144 inches. 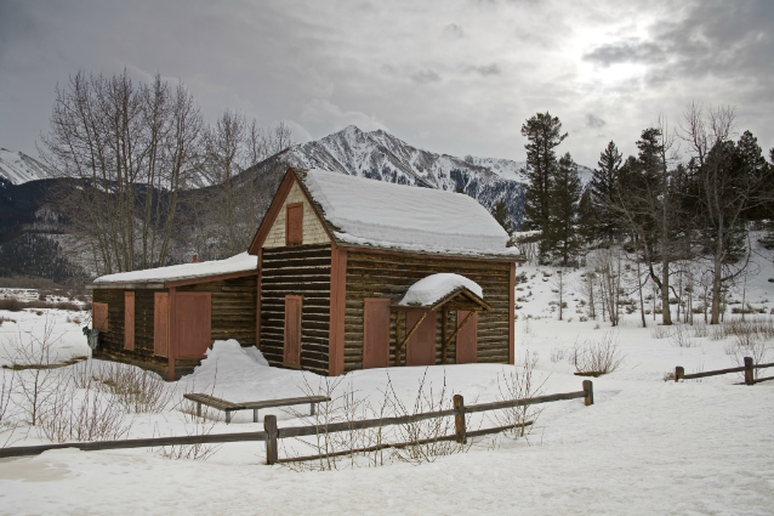 The park sees a lot of cross country skiing and snowshoeing activity, but it is open to hikers as well. Visit Big Bend in the wintertime for less crowds yet equally incredible views. Winters are mild, and light snow is possible, but overall, experiencing a hike in the park during this time of year is quite enjoyable. Along the trail check out the chimney landmarks and Indian rock art. Maine in the wintertime is a sensational experience. 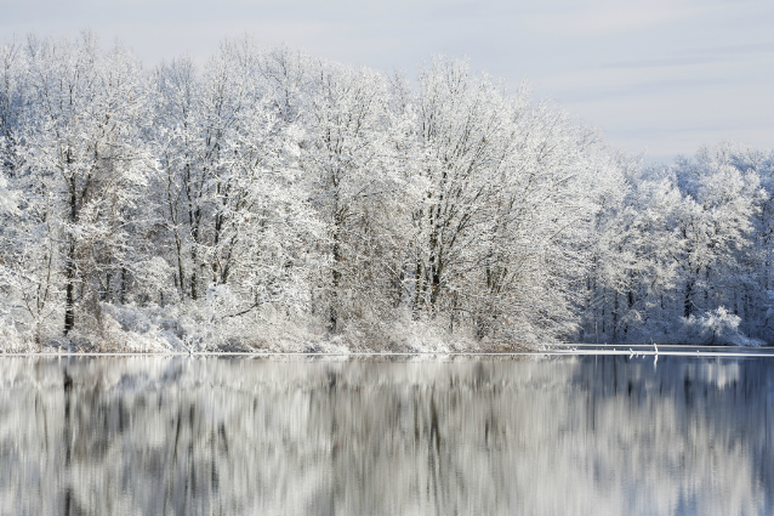 Watch as the lands turn to peaceful winter wonderlands. There are plenty of snowshoers, cross-country skiers and snowmobilers exploring the park during this time of the year. But the hike amongst the spectacular mountains is well worth the trek. With over 100 miles of hiking trails, Mount Spokane attracts many for snowshoeing and experiencing winter at it’s finest. 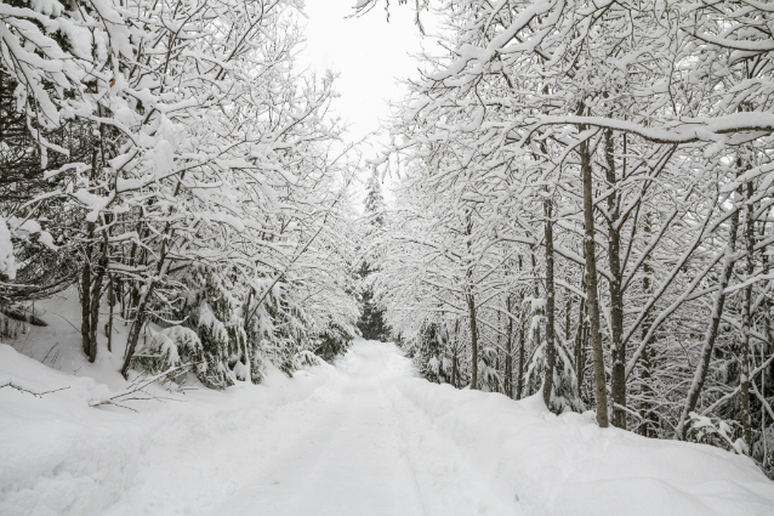 Take out the skis for some cross country skiing or just head out to see how gorgeously snow sits on the mountain.